Well, well, well, you're back again. Welcome to What I'm Wearing, the place where we round up what's been on our wrists this week. As always, we're hot on the trail of any new smartwatches, straps and even fun watch faces. And as we put devices through the Wareable ringer and offer up our final verdicts, sometimes we even like to give a sneak peek at what's coming your way – lucky you. We're also always on the lookout for more, so if you've got any recommendations, hit us up at [email protected]. If they're not totally lame, they could feature in a future edition of What I'm Wearing. 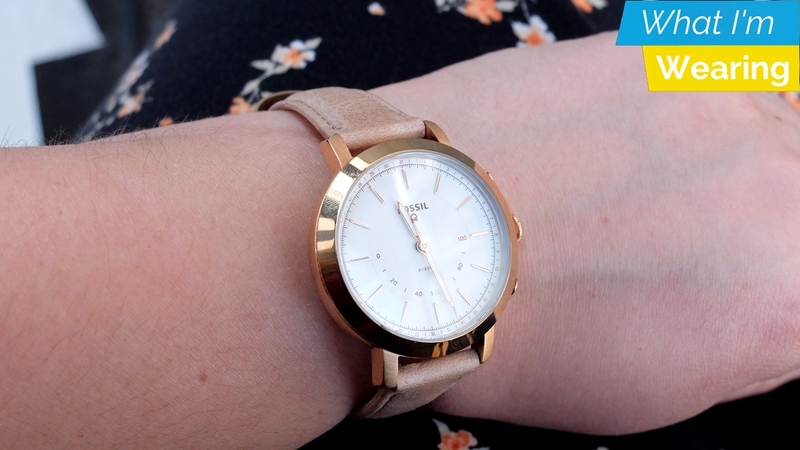 This fashion watch from Fossil is no wrist botherer. What I mean is that I have very particular wrists – I can't be doing with smartwatches that are too big or too heavy or don't fit right, I just can't. But the 36mm Fossil Q Neely, based on the existing 34mm Neely style, is light and comfortable enough that I'd be happy to wear it every day. (Not sure if it's named after the asteroid belt or the Baywatch bad girl, either way it's a strong name). You know what I love more, though? Not charging it – there's a coin cell battery that should last months. I'm not a selfie person so I've not used the three shiny pushers for that endeavour yet, but they are handy for playing/pausing Spotify on my phone. The slim 12mm straps feel nice and petite, too. My only gripe is that the bone leather one gets grubby very quickly, a problem I've experienced before with the Fossil Q Accomplice – will I ever learn? I do like the look of the cabernet leather strap – there's a black option too – so maybe I'll get on better with that. 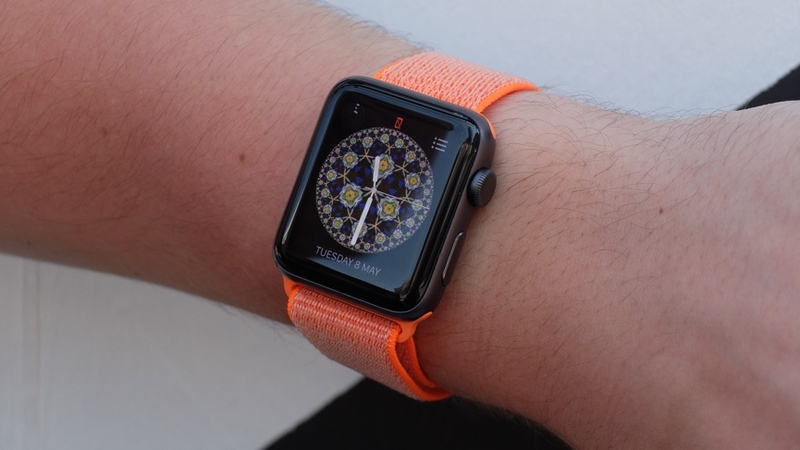 It's officially springtime, which means Apple is serving up some fresh Apple Watch bands for those who like to accessorise their wrist. 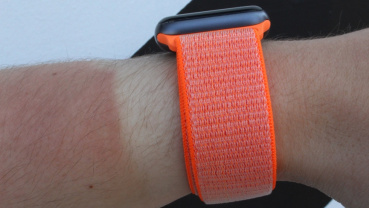 And this week, I've been donning the Spicy Orange sport loop. Spicy Orange, you say, Apple? Well, in the spirit of trying to match my look with my band, I decided to fall asleep in the early May bank holiday sun and sear my skin to near-reptilian proportions – achieving the human equivalent of Spicy Orange in the process. I've spared you the blisters located further up my arm, but what you can see is how my skin tone is now much more in line with the band. You think I look ridiculous now? Just think how silly I'd have looked if I hadn't dozed off, and instead had the vibrant band contrasting against my formerly pasty white arms. Since this is one of the few areas of my body that doesn't currently feel like hot sand to touch, I'm also able to confirm that the sport loop is as comfortable as its fuzzy look indicates. It's extremely handy in the shaded oasis of the gym, too, since it can handle your sweat far better than leather or metal variants.